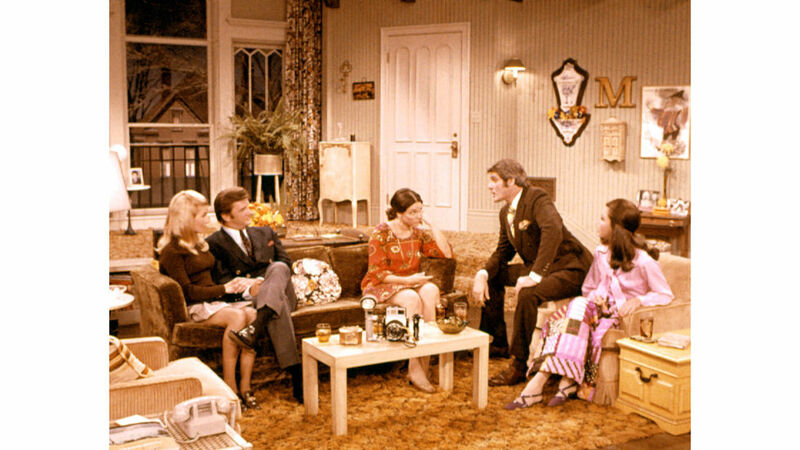 I can recall watching the show with my mother. At the time she was a single parent and worked more than one job to support us. We lived in a small trailer in Lakeland, Florida on a lake. I thought it was the best home ever. It was just the two of us and I knew she worked as I went to an after school program after school each day. She was the secretary to the publisher of the Lakeland Ledger and many nights she worked late. I never thought I was missing out or neglected or anything. She worked hard to make it work for us and I thought that was the norm. Looking back I realize how hard she worked and how much she sacrificed for me and why we had the same menu every week, she knew what it cost at the grocery store. I just loved mac and cheese night with canned peaches and a vegetable, and I just assumed everyone had a set menu. 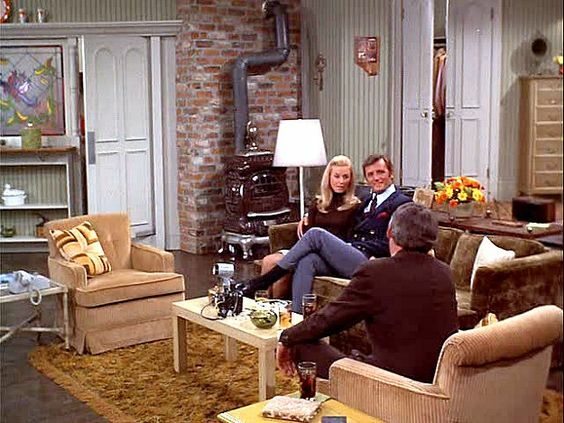 As I was researching the show last night I found some amazing stills of her apartment. It was the highlight of the show for me. Well, that and her darling outfits. I thought she was everything. A working girl with an incredible home and friends. As a small child it seemed so amazing to me. When I found myself needing to make a major life change in 1993 I did something very similar. I picked up my life and moved to Atlanta not knowing a single soul. I was in love with a guy who wasn't commitment friendly and I knew I wasn't ok just dating this one. He was the one for me and I needed to move away and move on. I rented the basement loft apartment of a house in Virginia Highlands. Three adorable girls lived upstairs and other than my boss at work I knew no one. It was the best thing I ever did for me. I was brave and strong and ready to look at life a little differently, though at the time I didn't see it that way. 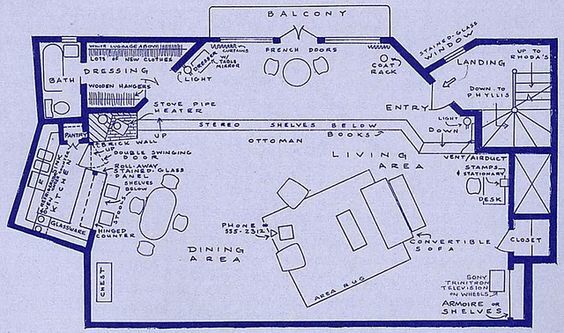 As I looked at the floor plan for Mare's apartment I realized how similar mine was to hers. It was a loft with step downs in the kitchen and breakfast area and a step up to the bed area. There was only two doors in the whole place. One to come in and one in the bathroom. It was small yet huge and amazing. I loved living there and I stayed there for two years until I moved into our first home with my soon to be new husband. As I look back now I realize that I was pretty set on making a change and moving. My best friend was nothing but supportive and she and I both thought it would be for a year or so and then we would be back in the same city together. I am not sure what I really thought but I did it and I have no regrets. 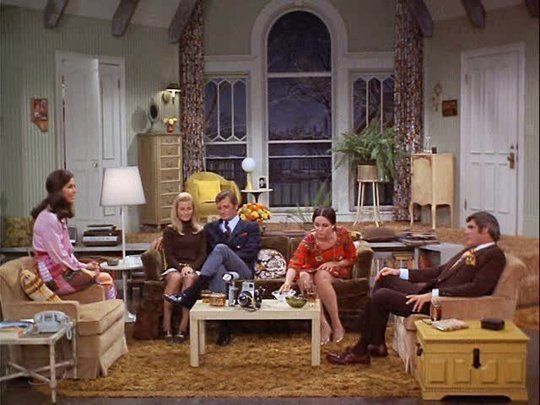 I don't know if it was the example my mother set for me when we lived alone or the examples of shows like the Mary Tyler Moore and That Girl which made me confident being alone in a new city with a new career but I am thankful for any and every example I had. 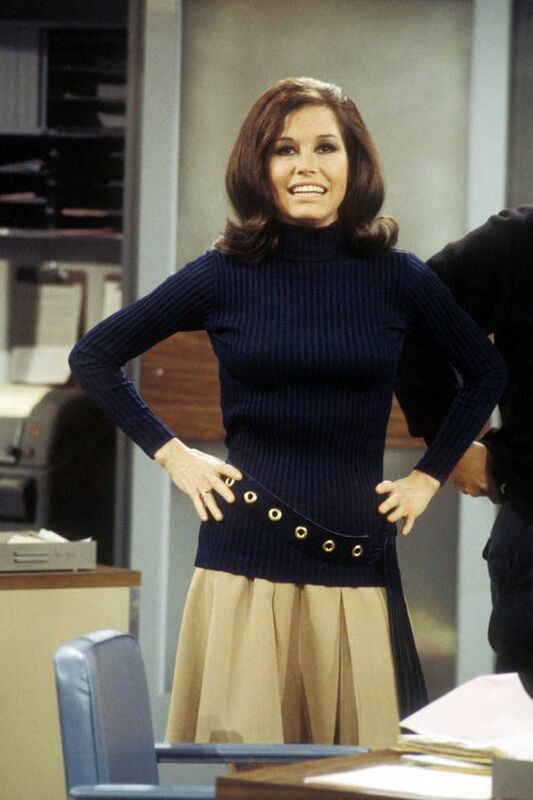 There is no doubt Mary Tyler Moore will be missed. In my opinion what will be missed most is the example of a strong, confident woman who set the stage for so many in 1970. I read comment after comment last night of actors who mentioned her role model as a turning point for them. To say she has a legacy is truly an understatement. She truly did change the world with her smile. 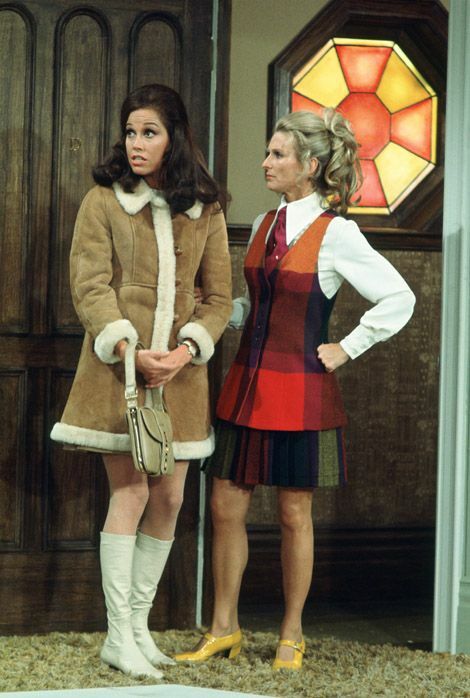 Loved this tribute post you did to MTM. 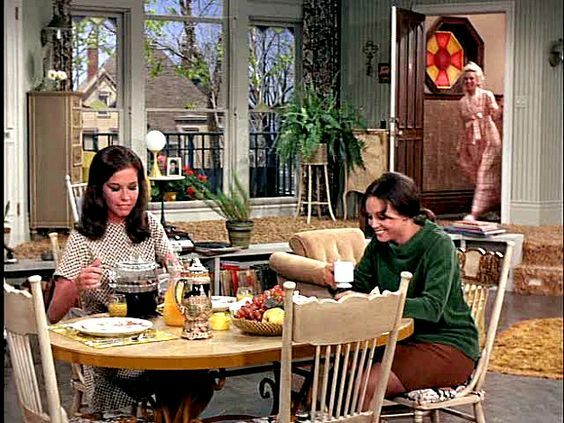 I didn't realize just how much the MTM show meant to so many young women like myself who where coming up during that time. Thank you for posting the pics of her apartment. 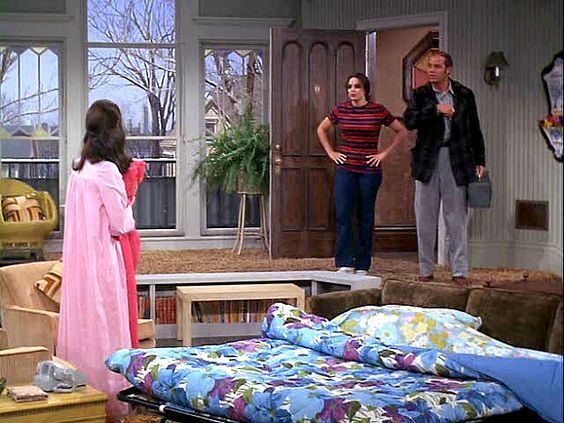 I always loved the sunken living room and window between the kitchen and living room where she would talk to Rhoda. Funny I never noticed the wood stove in the living room corner though. I know so many of her co-stars are heartbroken of her passing as her millions of fans. RIP "Mare". 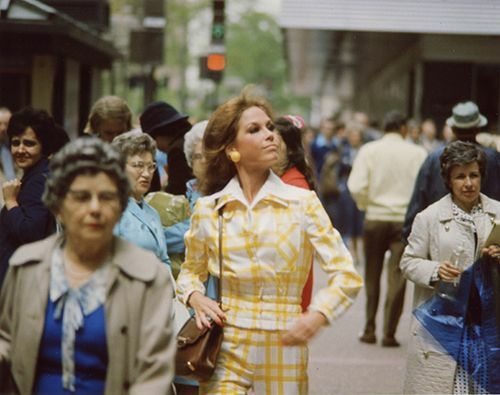 I lived in the Twin Cities when the MTM Show began; I was nine years old. I truly thought I'd run into Mare around town! 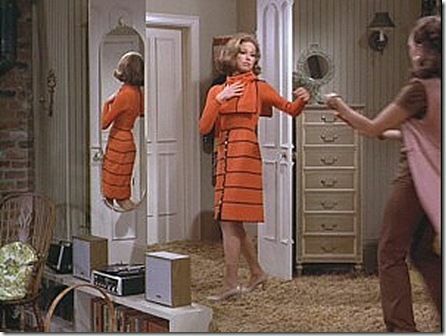 Her character set the new norm for working women, making it ok to live on your own and pursue a career. I am thankful to have grown up in her heyday.